For the final day of Holiday Bakes, I have a traditional Indian Sweet in a baked form. This is a long pending post, though I baked it only this week. My sincere apologies for delaying this post for so long. Only when I checked it now to read the email, did I realize so many months have simply passed away and I thought it was just few months! Pratibha Jain wrote me to many months ago about a cookbook that she compiled for Indu Bokaria. 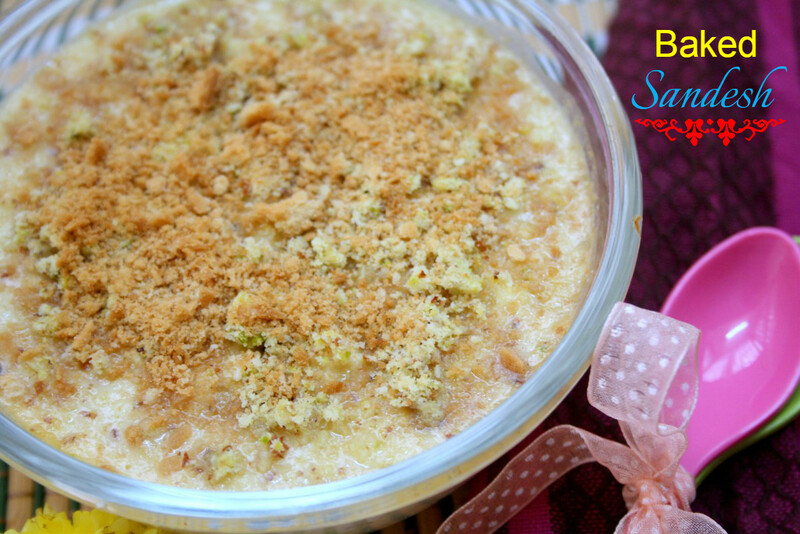 The cookbook, “Recipes from a Diary” by Indu Bokaria, the Sandesh Artist, is a collection of Indian recipes showcasing her artistically prepared Sandesh and its different forms.. The book has some amazing Sandesh on display. 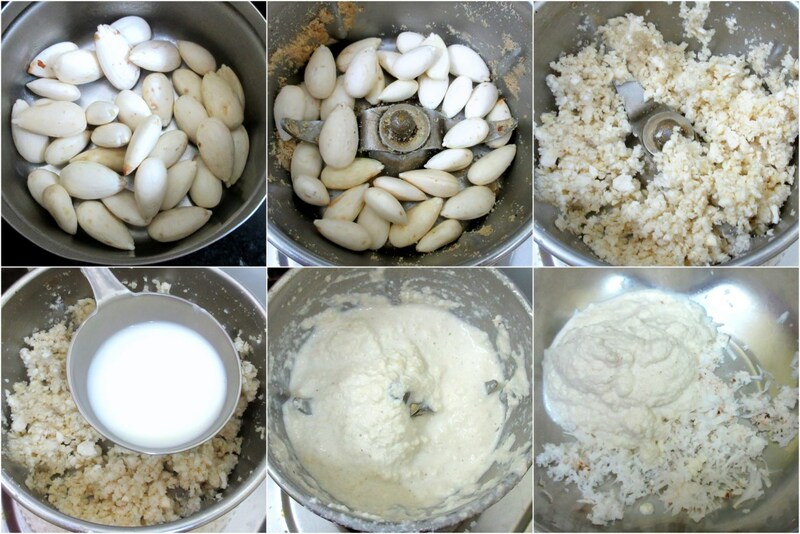 I am not very fond of sweets and even very less when it comes to Bengali sweets. Infact I started eating them only when I made Ras Malai. That led to many other explorations, all of which we enjoyed. So it was inevitable that I prepare Sandesh. I made the basic version and a fusion with chocolate as well. However the ideas that I found in this book were simply amazing. Junnu or kharvas. Since I have never tasted Junnu, I couldn’t comment, however I enjoyed this dessert. Though I had this in refrigerator, I preferred the warm one. So I MW for 30 secs before serving. So here’s the recipe for Baked Sandesh from “Recipes from a Diary” by Indu Bokaria, the Sandesh Artist. Thanks to Pratibha for introducing such a lovely book for us to enjoy! 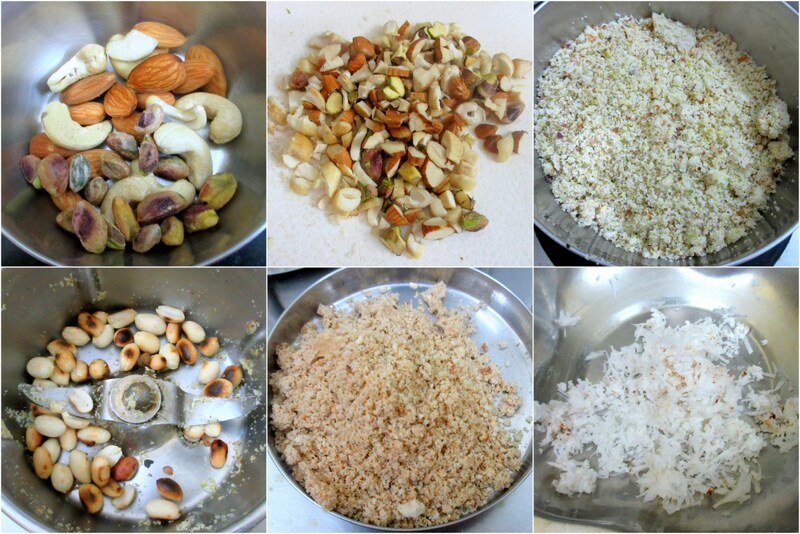 Soak the almonds overnight to peel off the skin and grind to a smooth paste with few tbsp of milk. Keep it aside. 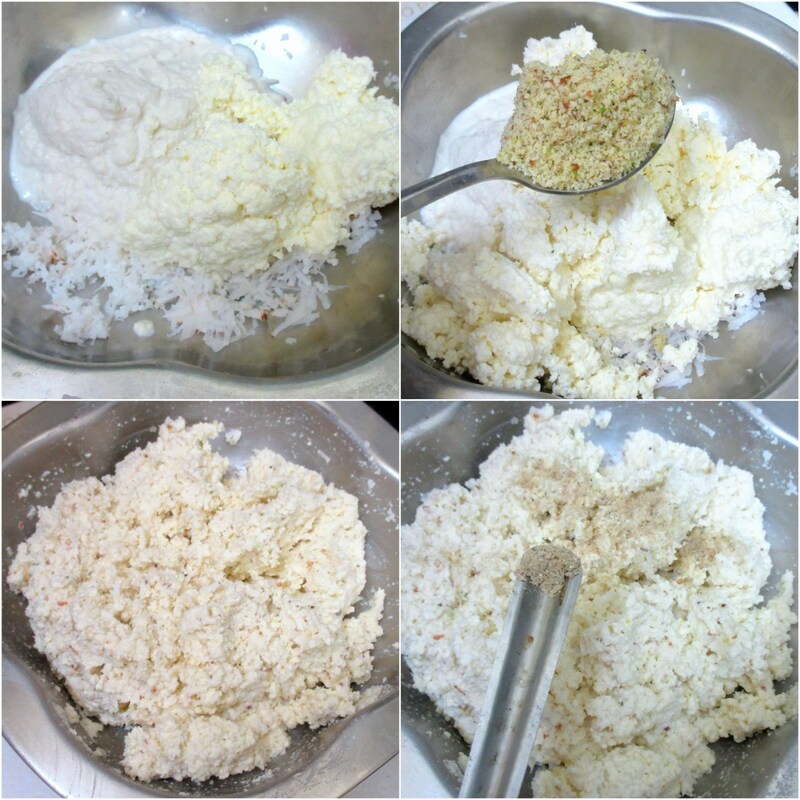 Make fresh paneer at home and if using lemon, run it in water to remove the citrus flavour. Let it drain to remove whey. Finely chop the nuts and power to fine. 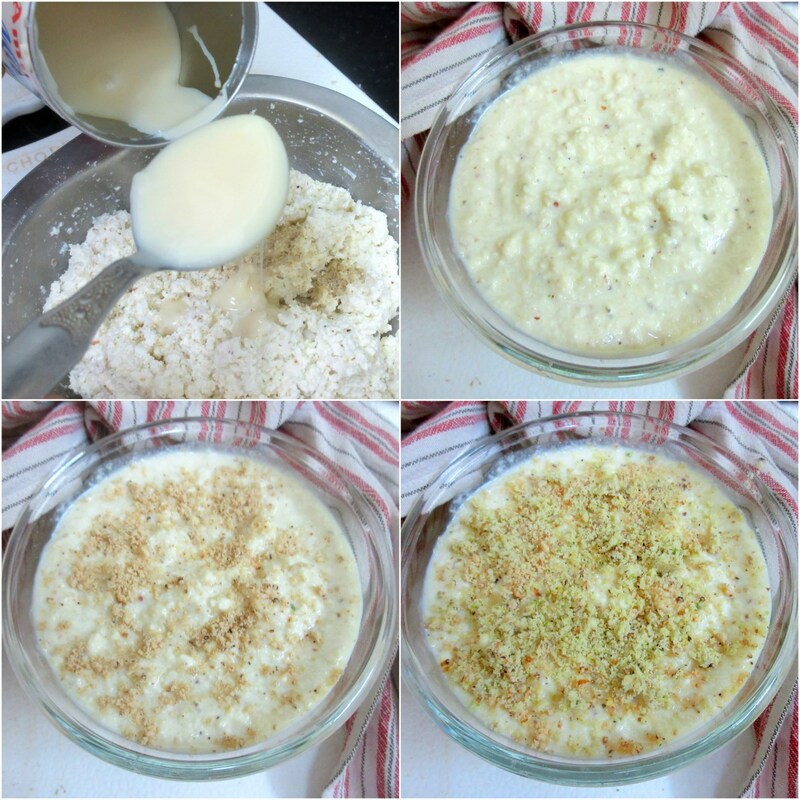 In a bowl, take the coconut, almond paste, the crumbled paneer along with nuts powder (save some for topping). Mix everything well. Slowly add the condensed milk. Check for sweetness and add cardamon powder. In the dish you are going to bake, fill with the paneer mix. Next layer it with roasted peanut powder. Next with nuts powder. Finally with milk biscuit crumbs. Pre heat the oven at 185 C. Bake for 10 mins. The sweet is quite firm after baking. much. Still the sandesh is surely a topper! Other than the coconut, everything is perfect with this version. The nuts powder can be ground and stored for couple of weeks as well, as I regularly do. 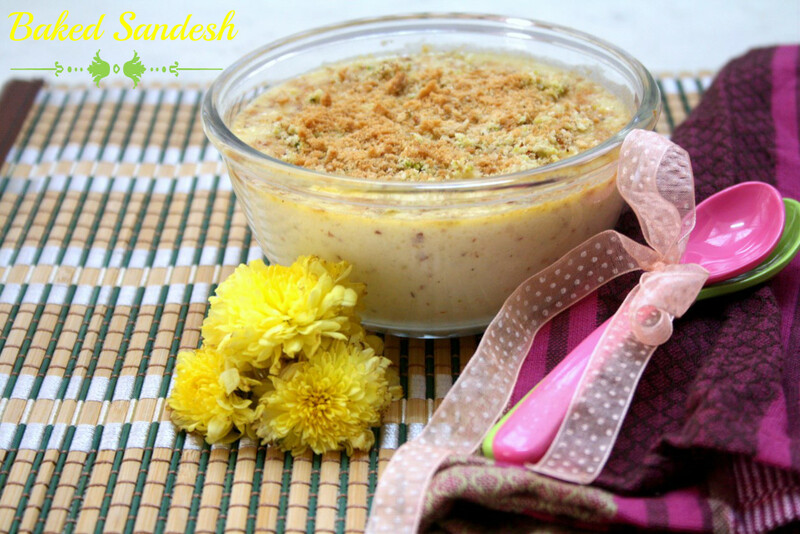 Baked Sandesh, wow cant wait to give a try to this ultimate sweet..
What a rich and decadent baked Samdesh recipe. Sounds soooo yummy!! This is such a decadent dessert. Bookmarked. Wow very innovative idea. Sandesh looks delicious. 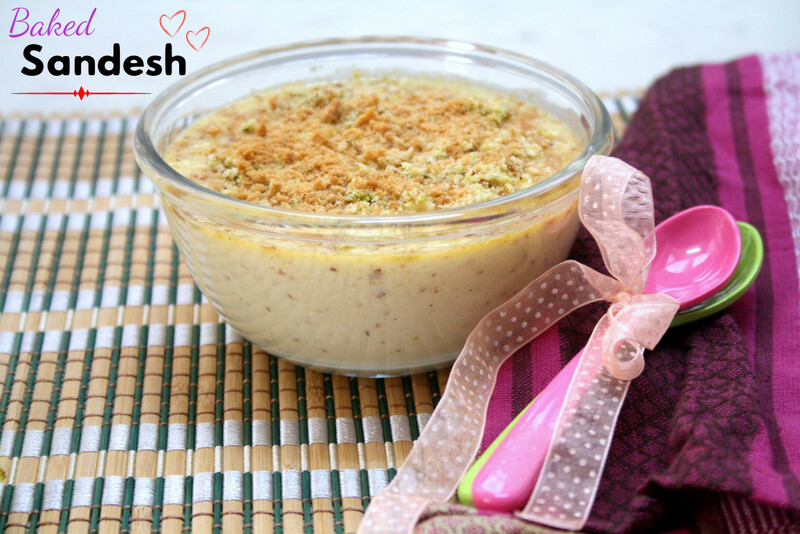 Indian lovely dessert with nutritious benifits. Punjabi Chhole ~ the authentic way! Sweet Wheat Banana Dosa ~ 101 Dosa Varieties!